Grow Springfield's mission works to increase community gardening and urban agriculture in Springfield, Illinois. Grow Springfield envisions a Springfield where community gardens are abundant; where farm-stands and farmers markets are a part of daily life; where opportunities exist for urban growers to make a living; where residents know where their food comes from, how it is grown and how to use it; and families are healthier, happier, and stronger as a result. 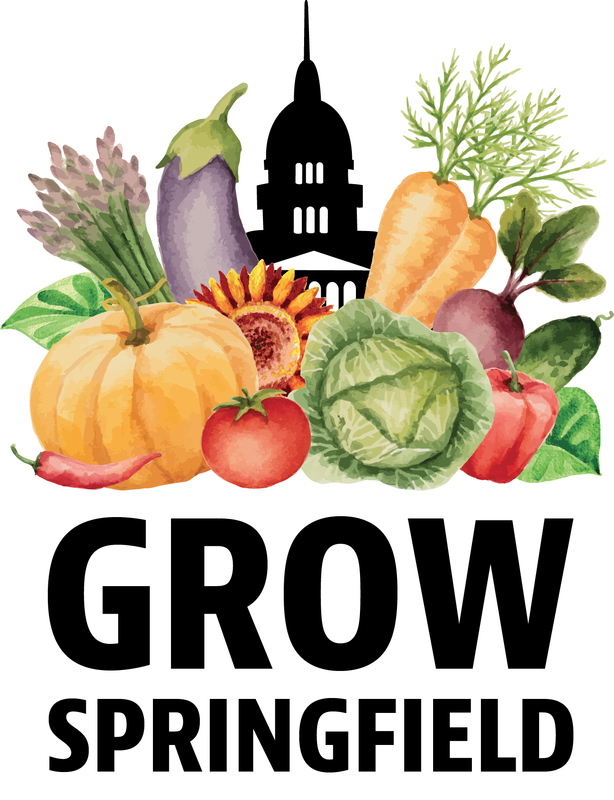 After discussion with Grow Springfield, their main goal for the logo was for it to express the bounty and color of local foods and to include the state capitol representing Springfield as the capitol of Springfield. After a vast variety of logo designs were produced and reviewed, the colorful produce in the logo represent both the bounty and color of local food. The simple black capitol was chosen, which helps emphasize the words "Grow Springfield". A bold san serif was chosen over more scripted and organic fonts.